This is my first book haul in a while, I went and raided the charity shops and was lucky enough to find some books that I knew I wanted to read. It's my birthday next month so I've got quite a lot on my wishlist so that should be a much bigger haul! Eva and Jim are nineteen, and students at Cambridge, when their paths first cross in 1958. Jim is walking along a lane when a woman approaching him on a bicycle swerves to avoid a dog. What happens next will determine the rest of their lives. We follow three different versions of their future - together, and apart - as their love story takes on different incarnations and twists and turns to the conclusion in the present day. 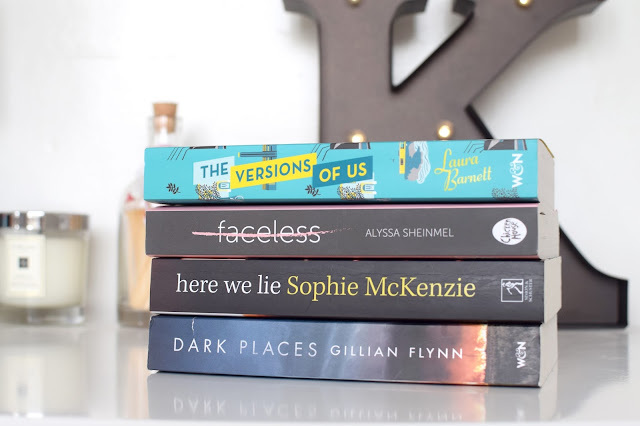 Ahhh I really want to read Dark Places! I've seen the film and didn't think much of it but I love Gillians books.